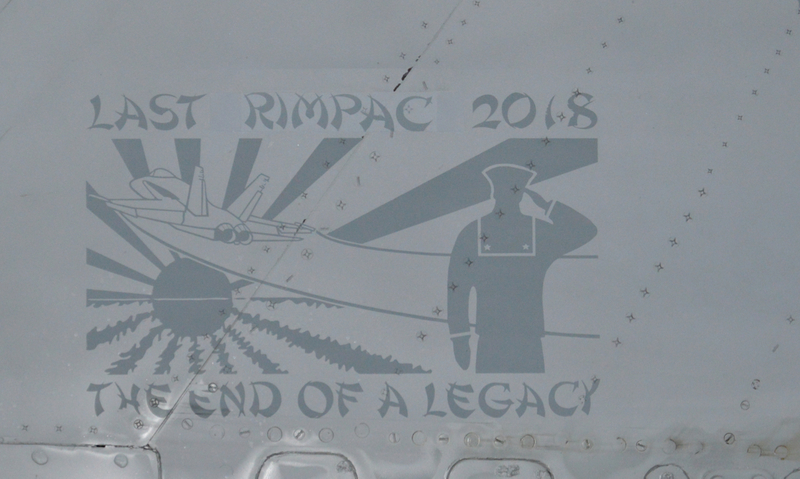 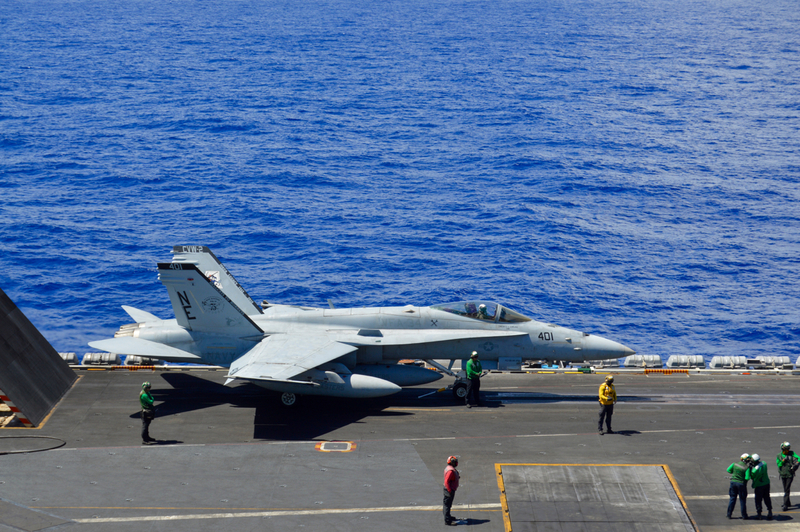 VFA-34 was deemed in 2016 to be the squadron that would conduct the last legacy Hornet operational deployment – and it was certainly a busy deployment cycle for the squadron. 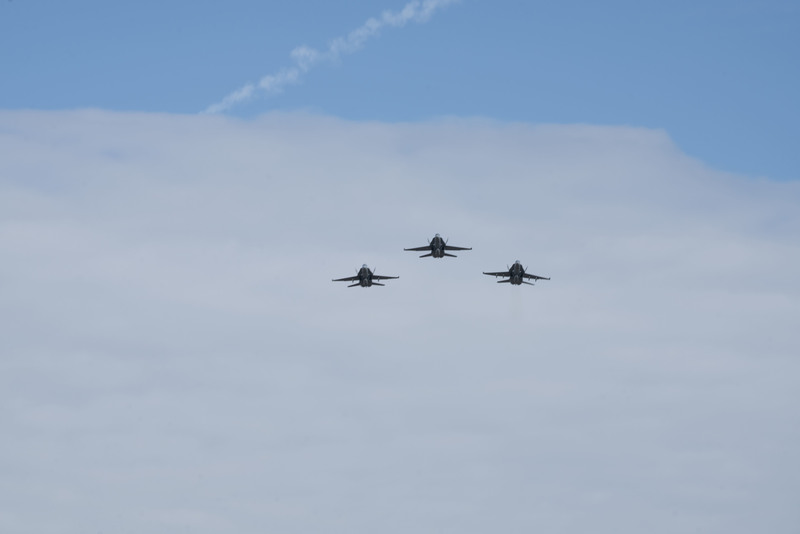 Along with the rest of Carrier Air Wing 2 embarked aboard USS Carl Vinson (CVN-70), the squadron left San Diego in January 2017 for the Western Pacific, and the deployment was extended by a month so that Vinson and other Navy ships could sit off the Korean Peninsula during an especially tense time in U.S./North Korean relations. 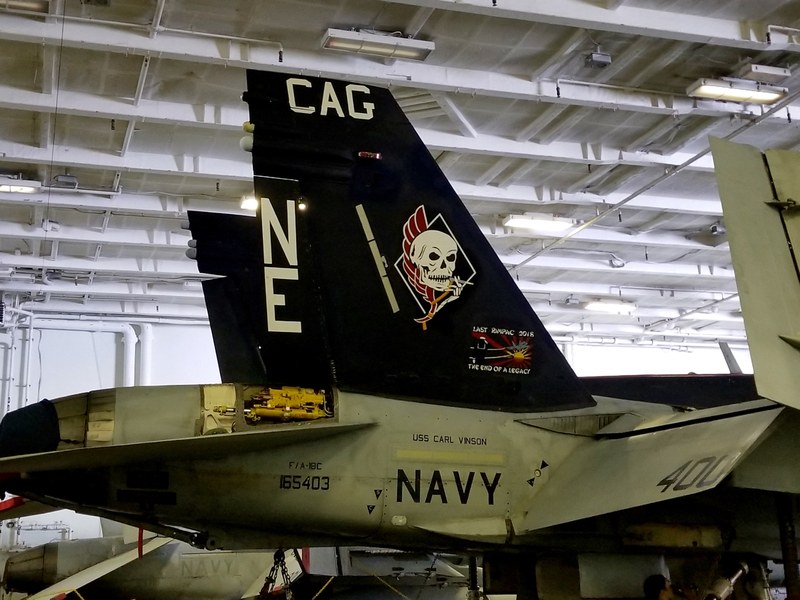 Vinsonagain deployed in January 2018 for a few months, which included a historic port call in Vietnam; the carrier returned home to San Diego for a few months and then headed west again for the Rim of the Pacific 2018 (RIMPAC) exercise in Hawaii.